SWEAT 411: I have been at SWEAT since it was a baby :). My favorite thing about SWEAT are the members and the instructors! We have the best clients and instructors in KC who motivate, smile, and have fun working out. SWEAT is my second family. Education: B.A. in Biology and Secondary Education with a minor in Chemistry from Benedictine College. Guilty Pleasure: Wine, Doritos, and any sour candy or hot tamales! Oh...and Chipotle! SWEAT 411: I have been at SWEAT for 4 years now! My favorite thing about SWEAT are all of the amazing hard working women that make themselves a priority each and every day! Guilty Pleasure: 80's music, hot tamales, shoe shopping! SWEAT 411: I have worked out at SWEAT Since June 2015. My favorite thing about SWEAT are the clients. Education: 200 RYT with the Yoga Alliance and 200 CYT (2013) Yoga School of Therapeutics Overland Park, KS. SWEAT 411: Been at SWEAT for going on 4 years now! Guilty pleasure: Dark chocolate and red wine! SWEAT 411: I have been at SWEAT since May 2016 and my favorite thing about it is the sisterhood of all the ladies sweating it out together and forming bonds. SWEAT 411: I have been at SWEAT since August 2016. I absolutely love the positive energetic vibe that the studio exhibits. SWEAT has a fun and friendly atmosphere that makes people want to keep coming back! Guilty Pleasure: Wine & Chocolate! SWEAT 411: I have been teaching at SWEAT since June 2016! My favorite thing about SWEAT are the members -- it's like a family! Guilty Pleasure: Bagel Bites! Tacos! Anything cheese related! 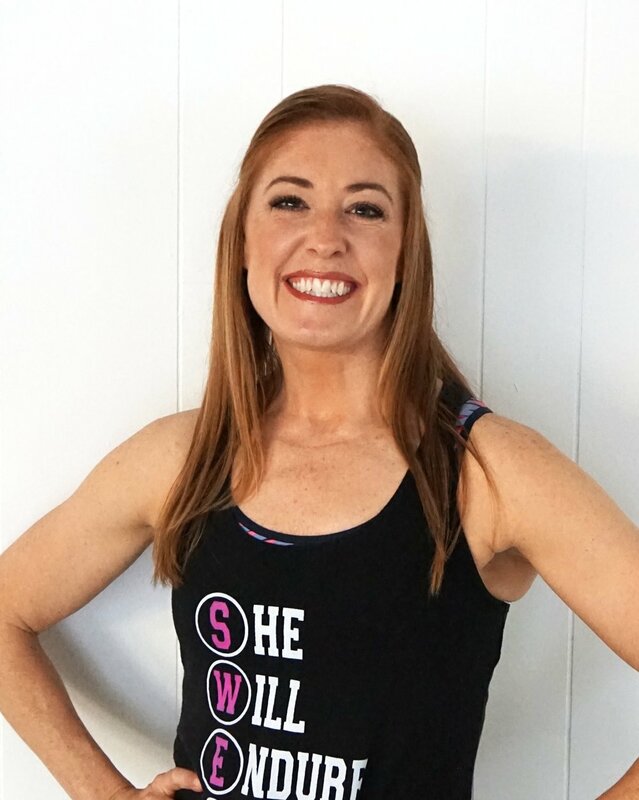 SWEAT 411: I have worked out at SWEAT since June 2015, and have been a heath coach at SWEAT since January 2016. My favorite thing about SWEAT is the family feel and everyone is supportive in our workout efforts! I love the accountabilIty when everyone knows you missed a class! Education: Masters in Occupational Therapy from KU. One year health coach training through the Institute for Integrative Nutrition. Guilty Pleasure: Binge watching Law & Order SVU! Guilty food is definitely any type of nut butter or nuts and chocolate! SWEAT 411: I have been at SWEAT since July 2016. I love the fun atmosphere, fun people, and friendships I have made so far! Guilty Pleasure: Reggae Music! Oh...and chocolate! Learn about all of the fun classes offered at SWEAT and find the ones that fit you best. Learn about our pricing structure and find an option that works for you.